We are very proud to support the local craft beer industry in San Diego. For over six years, we have created award winning beer experiences at over sixty different breweries. One of our personal places to go is to check out Barrio Logan, a growing artist community steps away from Downtown San Diego. An exciting brewery has opened called Border X Brewery that ties the Mexican American roots into their passion for beer. The original brewhouse was built in 1912 and housed the original Mission Brewery. It's the oldest brewery in San Diego county ! Visit them for a brewing experiment! ​Latitude 33 is always synonymous with “Adventure” — which is also their brewing philosophy. ​Our favorite partner of the summer, we strongly recommend to visit them for the unique brewery setting and the delicious food. They have two locations in San Diego from North County and North Park, the hub of San Diego's Tastings Room. With over 30 handcraft breweries operating throughout San Diego, it’s safe to say our city's local beer consumption is alive and well. Supporting local breweries is great for a lot of things: buying local beer keeps money circulating in our community, it promotes interest in the local brewing scene and participating bars, restaurants, and suppliers, and most local beers are cheaper than domestic or foreign imports, they'll most likely be fresher, and they can expose you to the magnificent world of beer that's being brewed in your own backyard. Forget the watery, Super Bowl-promoting varieties, and discover the mouth-watering local beers offered by the top ten San Diego breweries. From the local chapter of the legendary Karl Strauss Brewing Company, to the hip La Jolla Brew House, to the acclaimed Ballast Point Brewing Company, these top breweries serve up handcrafted cold ones to quench any palate. 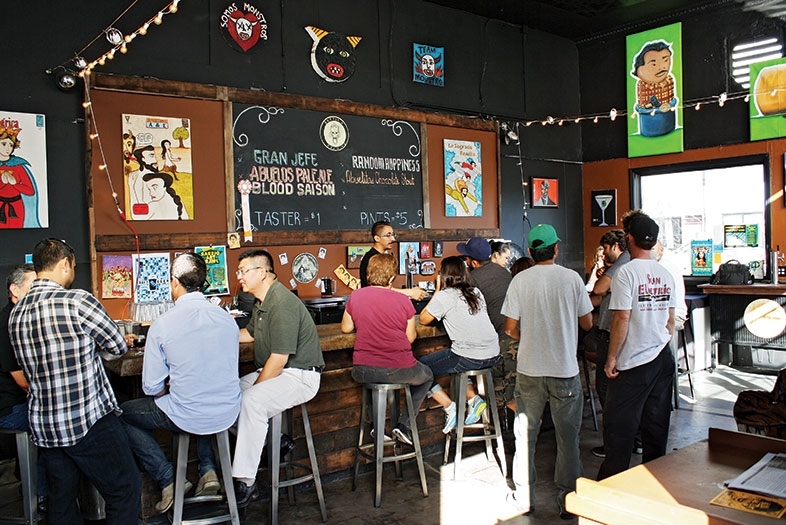 Discover our favorites breweries in San Diego. In the early 1900's San Diego was home to several thriving breweries, until Congress passed the 18th Amendment (aka Prohibition), which closed them in 1919. The original brewhouse was built in 1912 and housed the original Mission Brewery. They are honored to be brewing in such an important space to San Diego's brewing history. It's an experiment. 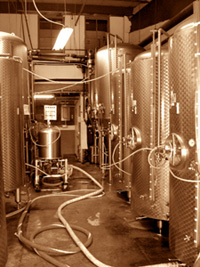 Indian Joe Brewing, Inc. is a micro-brewery located in Vista, California. Indian Joe brews premium handcrafted, quality beverages for on-premise consumption. At Rip Current Brewing they are going against the flow in the brewing industry by focusing on robust, flavorful beer styles from around the world. While the tidal wave of beers in the marketplace are lightly bready and largely tasteless lagers, they are creating a rip current by brewing beers that go against the tide engaging your palate with rich malty, big hoppy, sweet fruity and even some barrel-aged and sour style beers. Their goal is to give you the broadest variety of styles at their tasting room and let you tell us what you prefer. La Jolla Brew House is a casual restaurant/brewery offering a selection of specialty beers and five signature beers on tap, including Zomer Brun (Summer Brown) Ale, Blond, Pale, Red, and Wheat. LJBH also offers a pet-friendly patio, private party room with full bar, over 20 flat-screen televisions throughout to catch your favorite game, and monthly Beer Dinners, offering 4 courses with 4 beers. One of San Diego's premiere breweries, Ballast Point Brewing Company distributes five of their signature beers throughout San Diego: Yellowtail Pale Ale, Calico Amber Ale, Big Eye I.P.A., Black Marlin Porter and Wahoo Wheat Beer. Since opening in 1992, BPBC has won hundreds of awards, including Gold Medals at both the international World Beer Cup of 2002 and Great American Beer Festival. Book a facility tour and check out this historic San Diego brewery: ballastpoint.com. To Book your Brew Tour, please call us at 619-232-5040.